Rosser, J.Barkley ; Turquette, Atwell R.
Description / Table of Contents: "Maxwell is without peer. This printing is an opportunity to become thoroughly acquainted with the thought of the greatest of our electrical scientists." — School Science and Math Here is the final elaboration of Maxwell's theory of electromagnetism, including the systematic and rigorous derivation of his general equations of field theory. These equations continue to occupy a central position in the modern physicist's view of the physical world. They are a magnificent summary of the fundamental advances in electricity and magnetism, and later inspired the theories of Lorentz on the electron and Einstein on relativity. Einstein himself has said that "The formulation of these equations is the most important event in physics since Newton's time." (The Evolution of Physics.) Volume 1, Part 1, "Electrostatics," describes electrostatic phenomena and develops a mathematical theory of electricity. 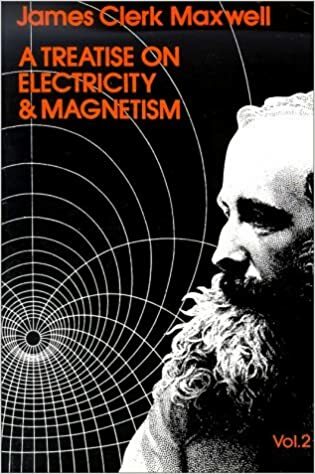 Maxwell discusses electrical work and energy in a system of conductors, mechanical action between two electrical systems, forms of equipotential surfaces and line of flow, spherical harmonics, the theory of electric images, and other topics. Part II, "Electrokinematics," deals with electric current conduction and resistance, electromotive force between bodies in contact, electrolysis, the mathematical theory of the distribution of electric currents, and other topics. Description / Table of Contents: "Maxwell is without peer. This printing is an opportunity to become thoroughly acquainted with the thought of the greatest of our electrical scientists." — School Science and MathHere is the final elaboration of Maxwell's theory of electromagnetism, including the systematic and rigorous derivation of his general equations of field theory. These equations continue to occupy a central position in the modern physicist's view of the physical world. They are a magnificent summary of the fundamental advances in electricity and magnetism, and later inspired the theories of Lorentz on the electron and Einstein on relativity. Einstein himself has said that "The formulation of these equations is the most important event in physics since Newton's time." (The Evolution of Physics.) Volume 1, Part 1, "Electrostatics," describes electrostatic phenomena and develops a mathematical theory of electricity. 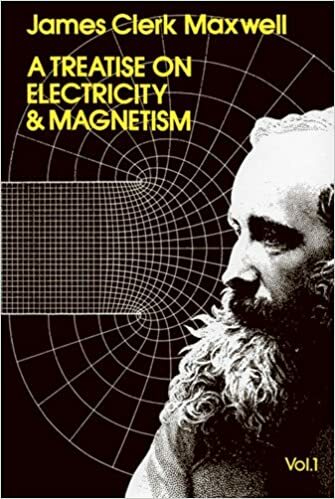 Maxwell discusses electrical work and energy in a system of conductors, mechanical action between two electrical systems, forms of equipotential surfaces and line of flow, spherical harmonics, the theory of electric images, and other topics. Part II, "Electrokinematics," deals with electric current conduction and resistance, electromotive force between bodies in contact, electrolysis, the mathematical theory of the distribution of electric currents, and other topics. Pages: 63 S. : graph. Darst. Pages: 32 S. : graph. Darst. Pages: 64 S. : zahlr. Ill. Pages: 370 S. : zahlr. graph. Darst. Pages: 102 S. : graph. Darst. + 2 Kt. Pages: 215 S. : zahlr. graph. Darst. Pages: Getr. Zählung : überw. Ill. und Kt. Pages: VII, 412 S. : Ill.
Freiburg, Br. : Wetteramt ; 1.1949(1950) - 3.1951/52(1952); damit Ersch. eingest. Kramer, C. ; Koninklijk Nederlands Meteorologisch Instituut 〈DeBilt〉 ; Post, J. J. ; [et al.] Woudenberg, J. P. M.
Pages: XII, 373 S. : Ill.
Offenbach : Dt. Wetterdienst ; 1949(1950/52) - 1995(1996); damit Ersch. eingest. Pages: 3 S. : Ill.
Thessaloniki : Meteorol. Inst. of the Univ. Pages: 15 S., 4 Bl. : graph. Darst. Pages: VII, 219 S. : graph. Darst. Pages: 277 S. : mit Tab. u. graph. Darst. ; 8 Kt. Leipzig : Akadem. Verl.- Ges. Pages: XV, 243 S. : graph. Darst. Edition: 2., unveränd. Aufl., Nachdr. Pages: 127 S. : Mit 38 Fig. Pages: 408 S. : mit Ill. u. Tab. Edition: 2. Aufl. mit e. Nachtr. Pages: 168 S. : mit Abb. Pages: 8 S. + 1 Kt-Beil. Kasch, Walter ; Sahle, Erich von d.
Pages: 67 S. : Ill.